From wild child to spokesperson for legal advice. 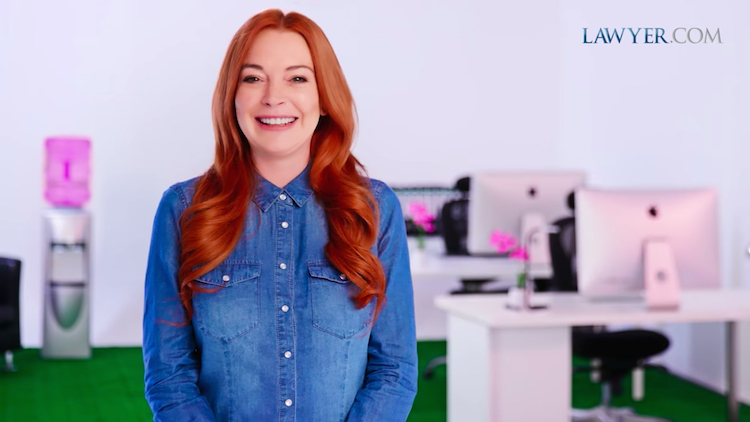 We know it’s 2018 and logic has been turned upside down and ripped apart, but we’re still fully gagged by Lindsay Lohan’s new job. The Mean Girls actress has dropped her strange accent and taken on the starring role as spokesperson for Lawyer.com—and its kind of genius. In a new promo for the legal advice website, she takes herself as seriously as we expect her to in this ironic new chapter in her life. "When Lawyer.com first reached out to me I was confused and a little worried as I thought I was in trouble," Lohan says in the ad. "I realized Lawyer.com is just about helping people, from getting a DUI... Let's not pretend like I didn't get one...or two or three, or some others." Watch the ad and the blooper reel below.